We all know elephants are intelligent, but surprisingly, little empirical, scientific evidence exists to support this fact. Why have so few studies been done to investigate elephant intelligence? 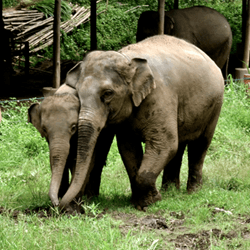 Well, it’s because it is very difficult to study elephants in the wild (especially in forested Asia), and it is even more difficult to find situations in which controlled experiments with elephants can be conducted. 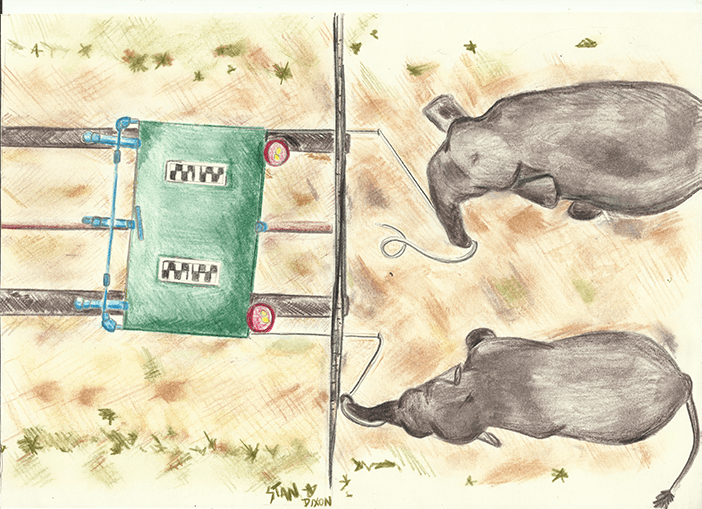 TEI scientists are changing this by designing and performing research studies that help us identify how elephants think by specifically investigating how an elephant solves physical and social problems. 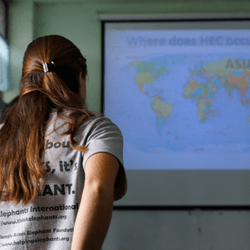 Our hope is that these studies will not only increase our general understanding of elephant behavior, but will also teach us how ‘thinking like an elephant’ could be the key to saving them from extinction. 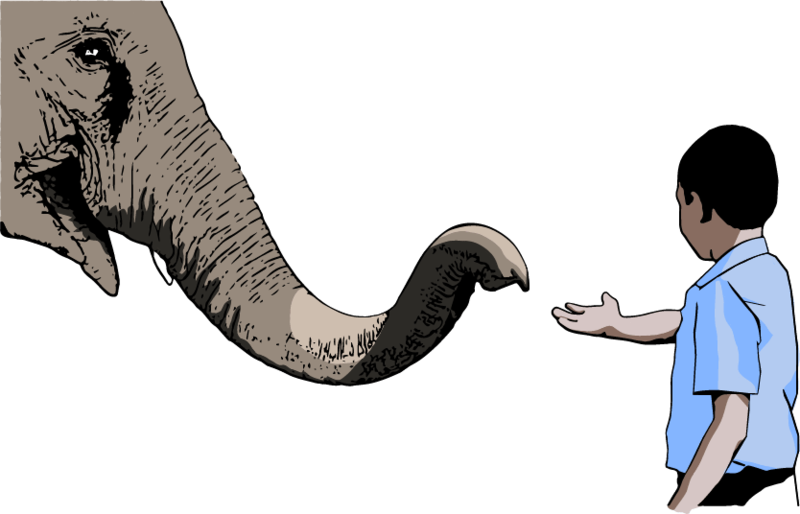 Humans and elephants diverged from a common ancestor more than 60 million years ago, but remarkably, they share certain markers of intelligence, such as empathy and complex cooperation. This may mean that humans and elephants each independently evolved to be smart because survival in the different environments in which they lived required intellect. Specifically, complex "thinking" may be necessary to navigate the similarly complex social lives lived by both elephants and humans. Elephants are known for their empathetic behavior and concern for others within their social groups, as well as for their problem-solving abilities. We are interested in better understanding how elephants think about their social relationships and the problems they encounter in their environment. 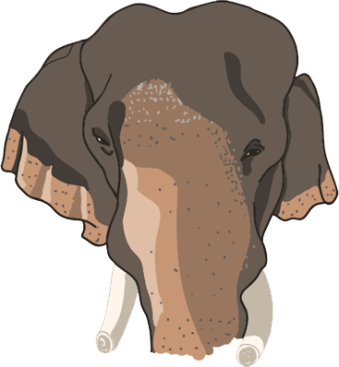 The Asian elephant is an endangered species, and some estimates indicate it will be extinct from the wild in less than 50 years. New perspectives on tackling issues challenging the elephant's survival are desperately needed. 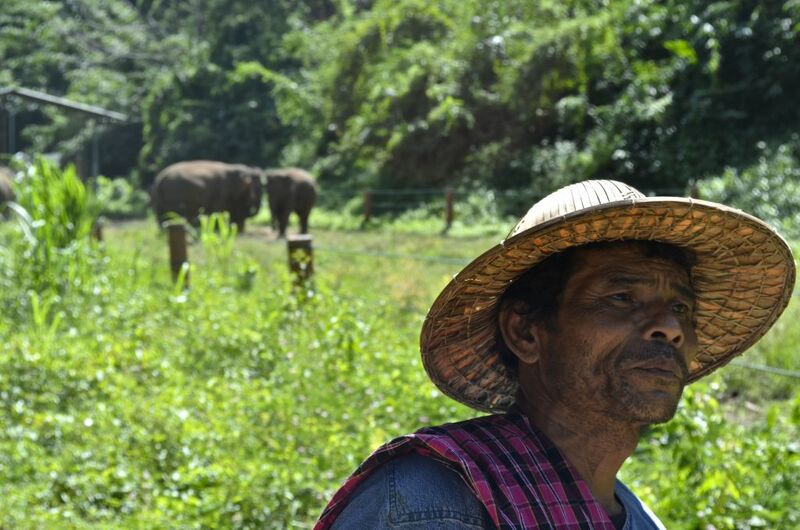 The research conducted by TEI scientists investigates the elephant's perspective of its environment, which has important implications for formulating human-elephant conflict mitigation techniques that take both human and elephant needs into account. Primates and birds, like humans, rely primarily on their sense of vision to navigate their natural worlds. But an elephant’s vision is relatively poor compared to these species, which suggests that they may rely more on other senses like smell and hearing when making decisions in the wild. Therefore, if we are to ask fair questions about elephant intelligence, then we need to first put ourselves in an elephant's shoes (or rather their trunks!). In other words, if elephants think using their trunk and ears (and less so with their eyes), then the way we ask and answer our research questions has to take this into account. A greater understanding of how elephants perceive and respond to their natural world – gained through cognitive games testing their physical and social intelligence – can directly inform conservation practice. People may find it easier to empathize with animals that they can relate to. 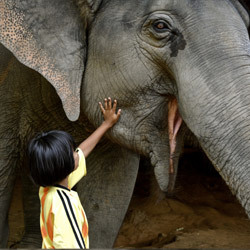 Although few have the opportunity to meet an elephant in person, media that shows an elephant recognizing itself in the mirror, or an elephant roaring in fear as it works to pull a trapped infant from a mud pit can help people relate better to them. If we can empathize with endangered species, perhaps we will be more likely to want to help protect them from extinction. Recognizing oneself in the mirror is an ability humans take for granted. Daily we use mirrors to brush our teeth, comb our hair, or check our appearance. Surprisingly, this ability actually demonstrates a cognitive capacity that few animal species possess. In fact, only eight species have passed this test, and one of them, as demonstrated by our work, is the elephant. By recognizing themselves in the mirror, elephants are showing their capacity to understand that they are their own entity, separate from others. This ability is a crucial trait that may underlie both empathy and complex sociality. Cooperation is seen throughout the animal kingdom. Honeybees cooperate with sisters to protect their hive, and lions cooperate with their pack to catch a meal. But most animals are not consciously deciding to cooperate when they work with others. Their behavior is based on instinct rather than conscious decision-making. Elephants, on the other hand, can think about how cooperation works. In this study, we show that elephants will wait for a partner in a task that requires two individuals for success. The elephants have learned that not only is their partner necessary in the task, but that it is their partner's behavior, as opposed to their mere presence, that is needed for success. Many domestic animals, like your favorite canine friend, pay close attention to human given cues such as pointing. Researchers wonder whether this ability to recognize an outstretched finger is linked to the genetic process of domestication, or if it is simply based on an individual animal’s exposure to humans. To test these theories, we used pointing cues to show elephants the location of food. 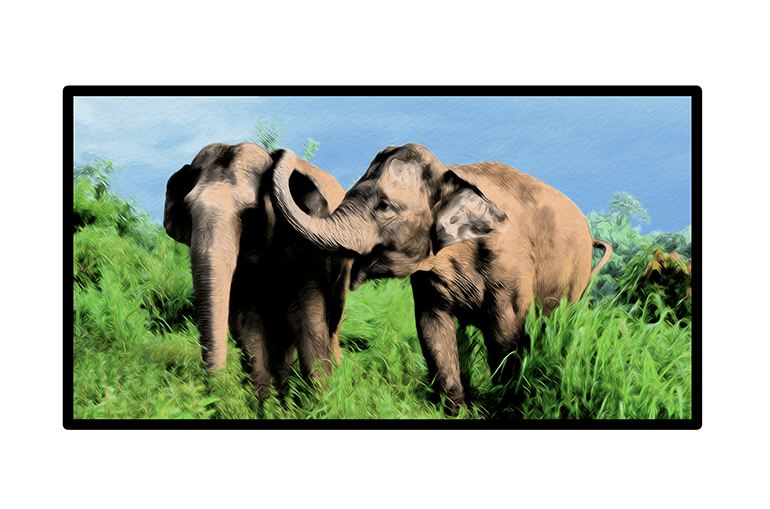 Asian elephants are wild rather than domesticated but they share a long history with humans. In our experiments, the elephants were unable to find hidden food when given a visual cue. Their lack of success could support the domestication theory, however, we also have to consider the visual abilities of an elephant. It is possible that Asian elephants just aren’t using their eyesight to find food. Elephants are incredibly good at hearing and smelling, much better in fact than humans. But which of these senses do they use most to find food? To answer this question we used either auditory or olfactory cues to indicate the location of food to elephants. We found that elephants can easily use their acute sense of smell to find the food, but were unsuccessful when using their hearing. These results coincide with the fact that in the wild, elephants are likely smelling out their solely plant-based diet, rather than listening for those plants to make noise. Following a stressful or alarming situation, it is not uncommon for humans to want to console a distressed individual. But this ability to recognize the agitation of another, and want to reassure them, is not a ubiquitous trait in the animal world. In truth, only a handful of species have been shown to act this way. 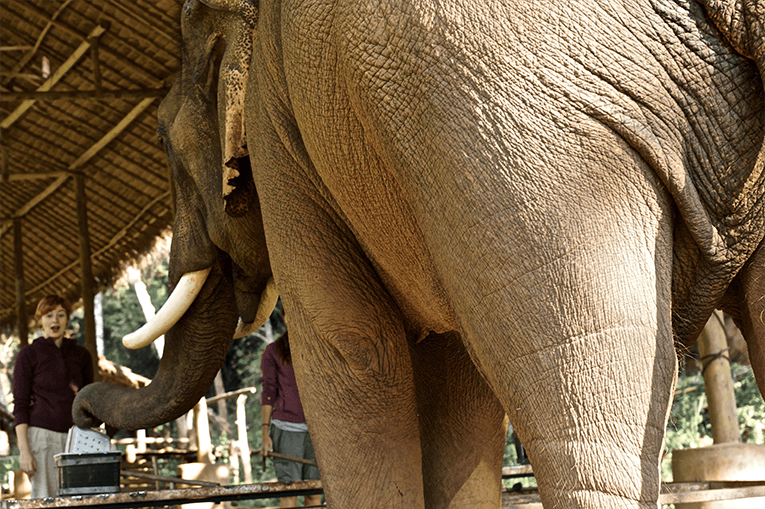 Through our research in Thailand, we demonstrated that elephants are one of these species. We found that an elephant will reassure a distressed comrade by physically and vocally connecting with them. This trait indicates that elephants may have the capacity for empathy and consolation, a trait once thought to be unique to a select few primates, including humans.